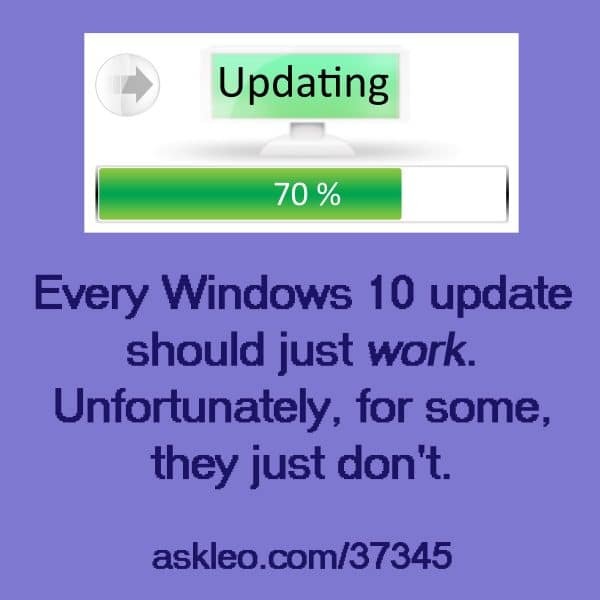 Every Windows 10 update should just work. Unfortunately for some they just don't. - Ask Leo! Every Windows 10 update should just work. Unfortunately for some they just don’t. « Previous post: How Do I View the Contents of My Hidden D: Drive?